Acquired from the above by the present owner circa 1984-85. J. Polieri, Catalogue Raisonné of the Complete Works, Paris 1996, no. 166, p. 211 (illustrated in colour). 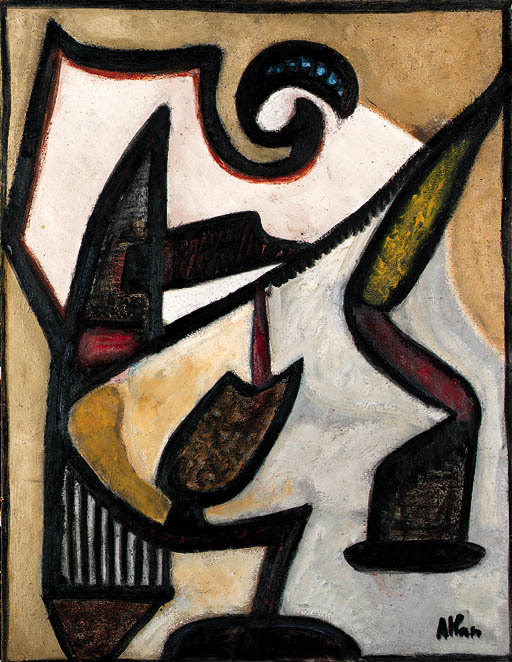 Angers, Musée d'Angers, Abstractions lyriques Paris 1945-1955 (illustrated in colour p. 11). This exhibition later travelled to Laval, Evry, Le Mans, Cholet and Saint-Jean-de-Monts, October 1988-April 1989.